This, my darlings is the piece de resistance! 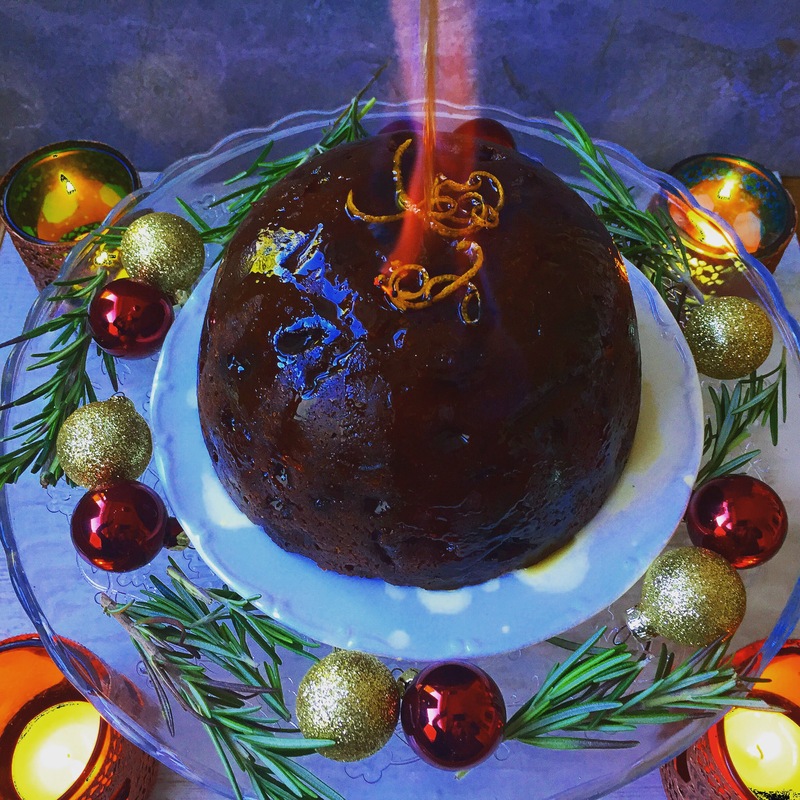 I don’t know about you guys but it really is not Christmas in our house unless there’s a Christmas pudding and this one ….. I promise you is the best one you will ever …. ever… ever have!! 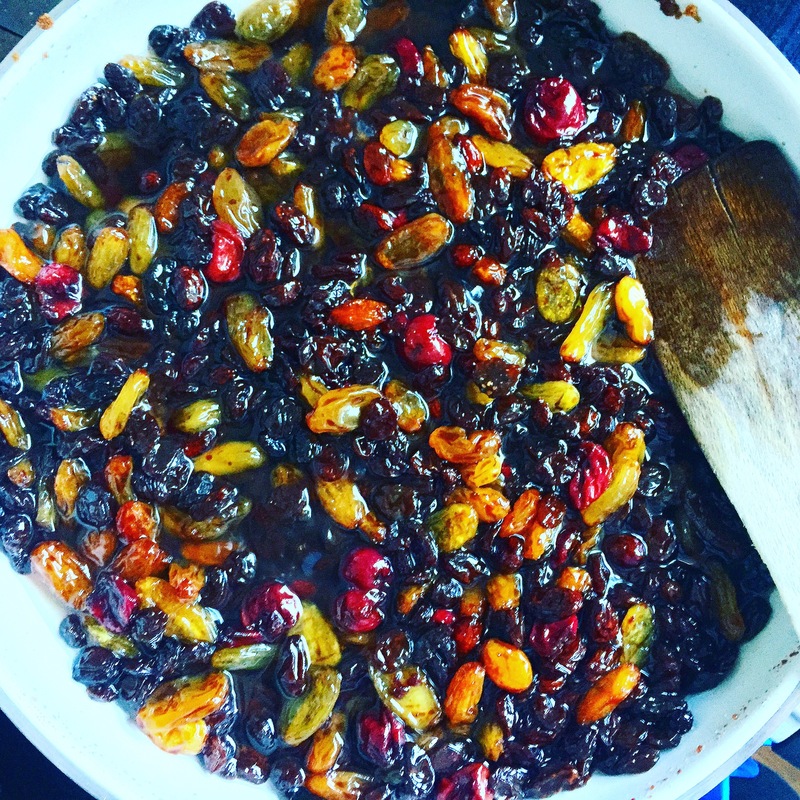 Just like my mince pies the recipe for my Christmas pudding has been passed down from my granny, to my mom and then to me and it goes without saying that it is super super precious to me. However, me being me, I had to try and pull some of the processed ingredients out and pump some plant power in! 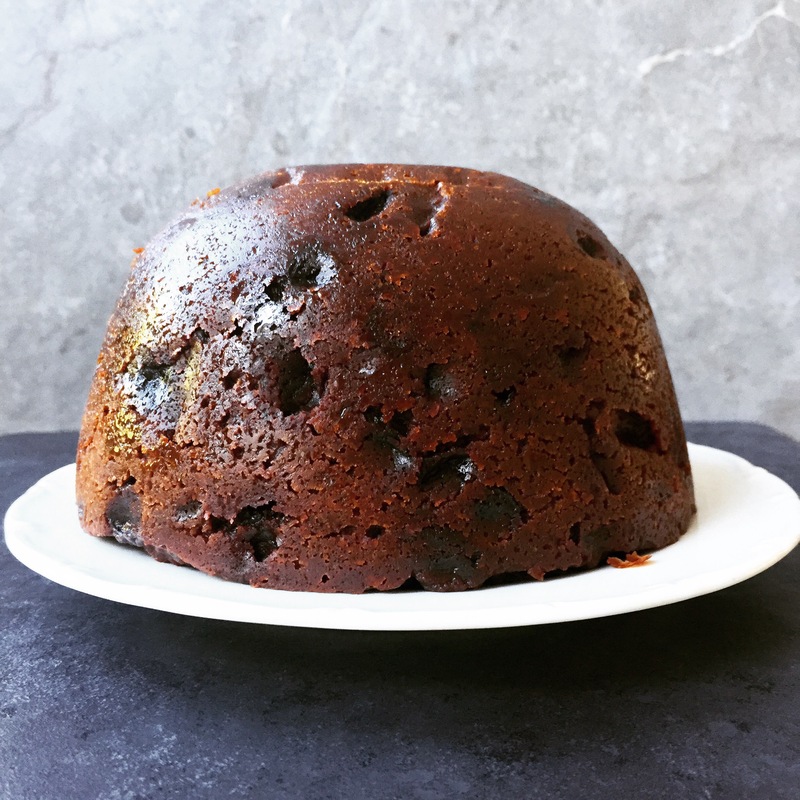 When I first did this I was so apprehensive as Christmas pudding is so central to Christmas day in our family, but you’ll never guess what happened…………it turned out 100 times better than I ever thought it would! 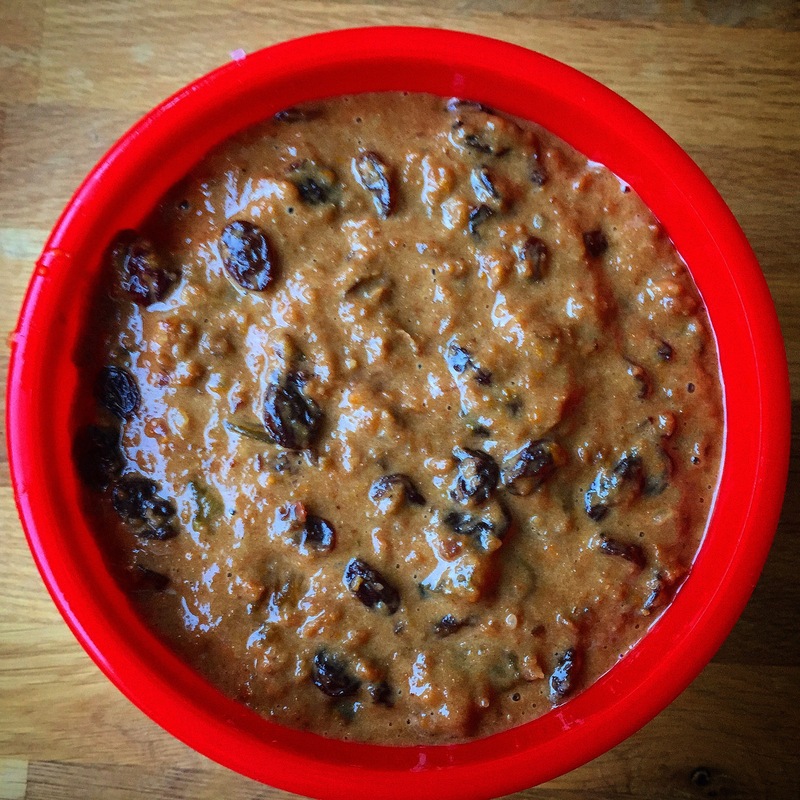 I will never make any other Christmas pudding after having this one! 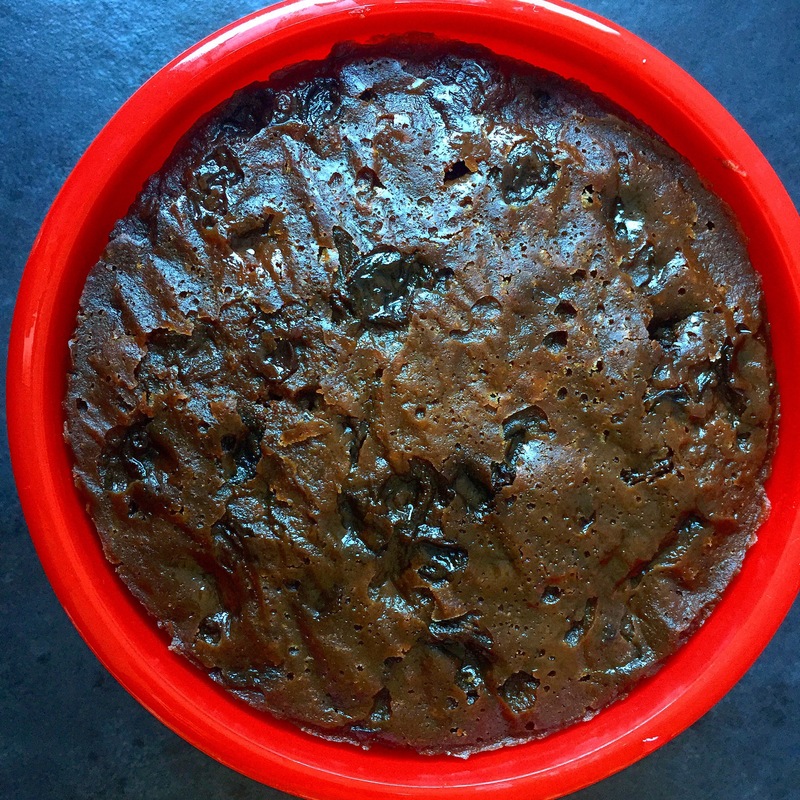 It’s gluten free, vegan and refined sugar free and it tastes absolutely superb! 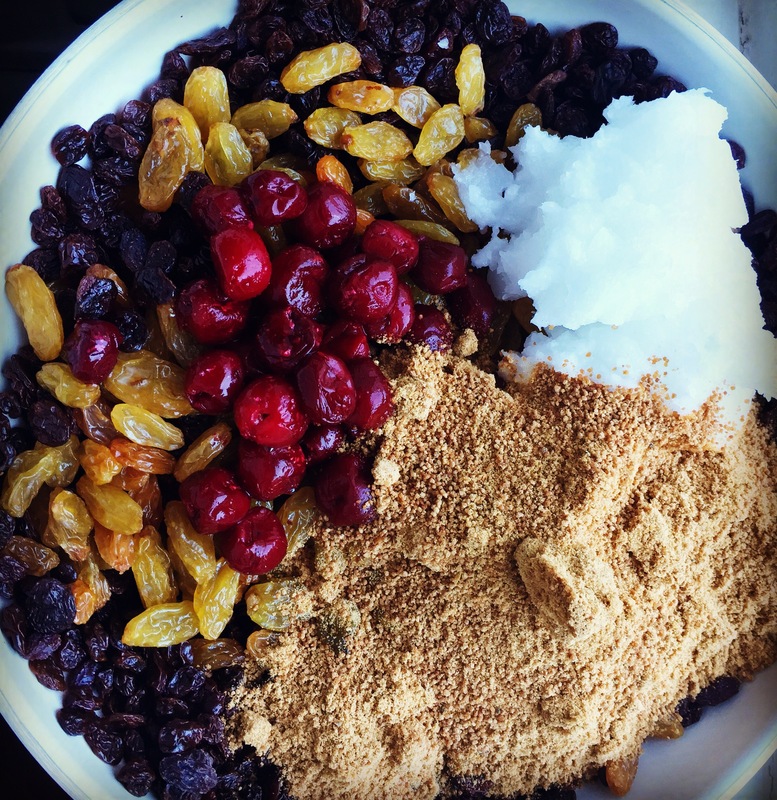 By puling out things like mixed peal, glace cherries, refined sugar and margarine I instead use fresh fruit zest, frozen cherries, coconut sugar and coconut oil, making it so so so much better for you. 2tbsps. Whiskey or Rum for gluten free version! Ok I know this looks like a really incredibly hard recipe, I promise its not! 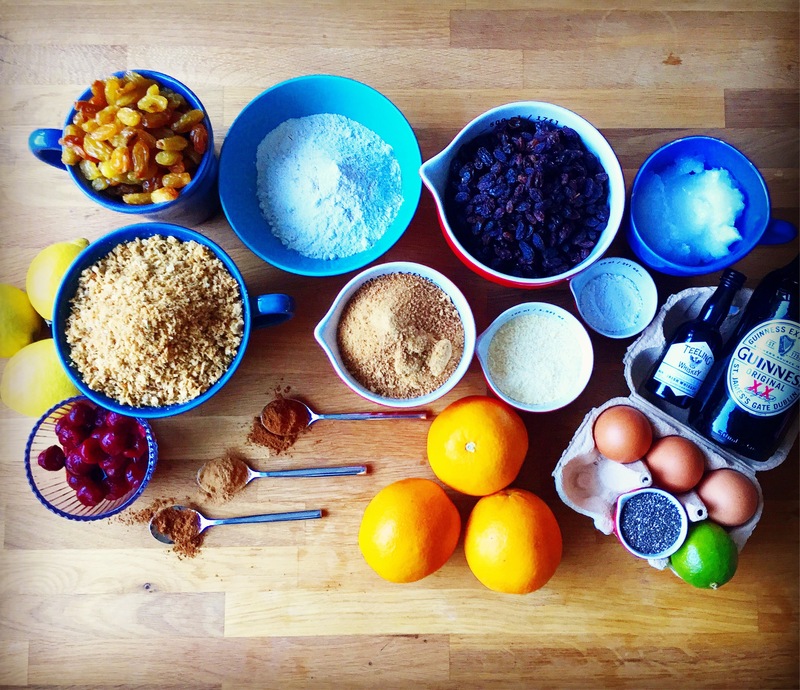 The hardest part is getting all of the ingredients together! So first things first, pop all of the fruit coconut sugar, coconut oil and fruit zest into a pot and whack it on to some heat. I know what you’re thinking, she’s lost her marbles! Not at all, this my friend is how we are going to infuse the fruit to give it that depth of flavour saving you months in maturing time. Just bring all to the boil and leave to simmer for 5 minutes so all of the flavours can permeate the fruit. 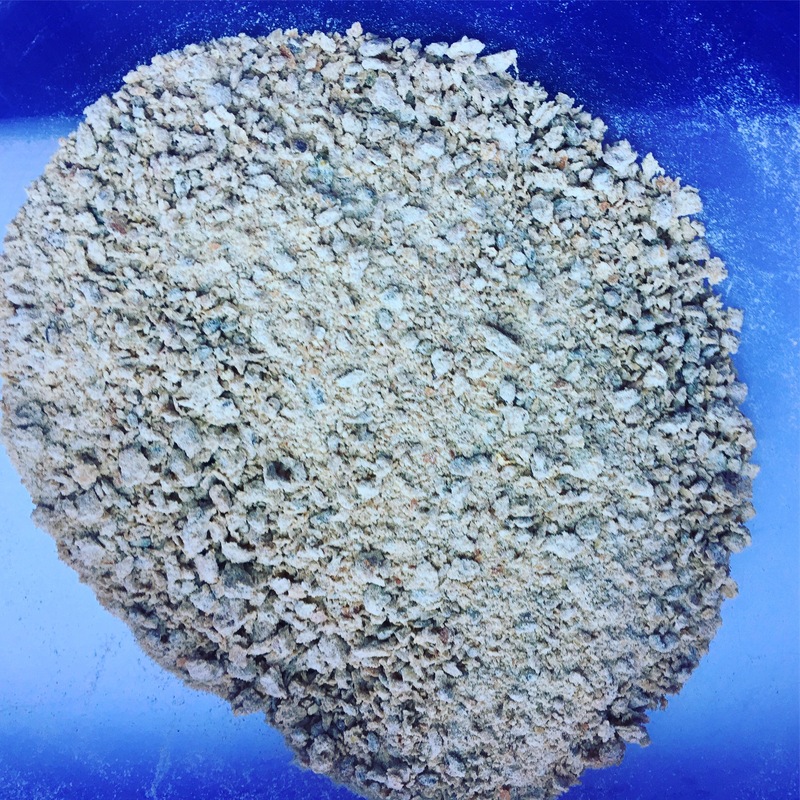 Whilst you’re waiting on the fruit, sieve your buckwheat flour and baking powder into a bowl, next add the bread crumbs and spices. 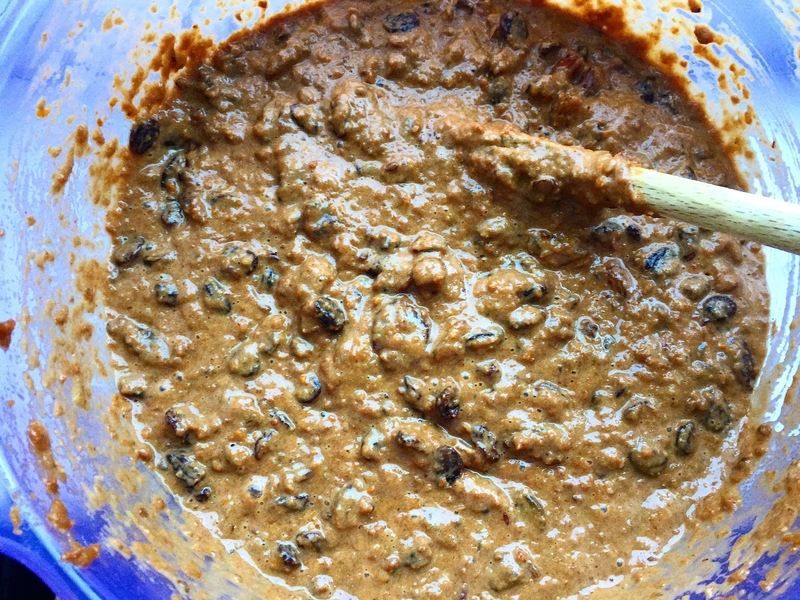 Once the fruit has finished indulging itself add to the dry ingredients. Now for the fun part! Glug in the booze! Yep that’s right throw in the full bottle of Guinness and the whiskey or rum which everyone you’re using! The mixture will be quite wet, that’s perfectly fine so don’t fret my love, you’re doing great! Lastly we add the eggs or the chia egg for the vegan version. If you’re making the vegan version mix the chia seeds and the water and leave to sit for 3 minutes when you come back to them they will be all gloopy and jelly like, now they’re ready to add to the pudding mix! If you’re using the three eggs you’ll have to wait until the pudding mixture cools down so that the hot fruit doesn’t scramble the eggs. So once cool add them in and you’re ready to go! So now that our pudding mix is ready we need to get our pudding bowls ready. I used a glass bowl and a plastic bowl, as that was what I had, it doesn’t matter what you use as long as it’s heat proof. 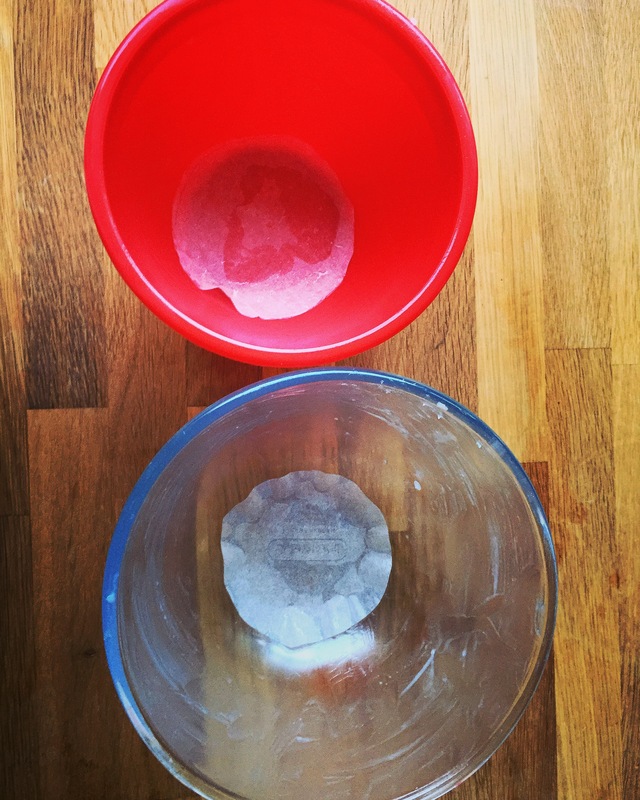 First grease your bowls generously with coconut oil. 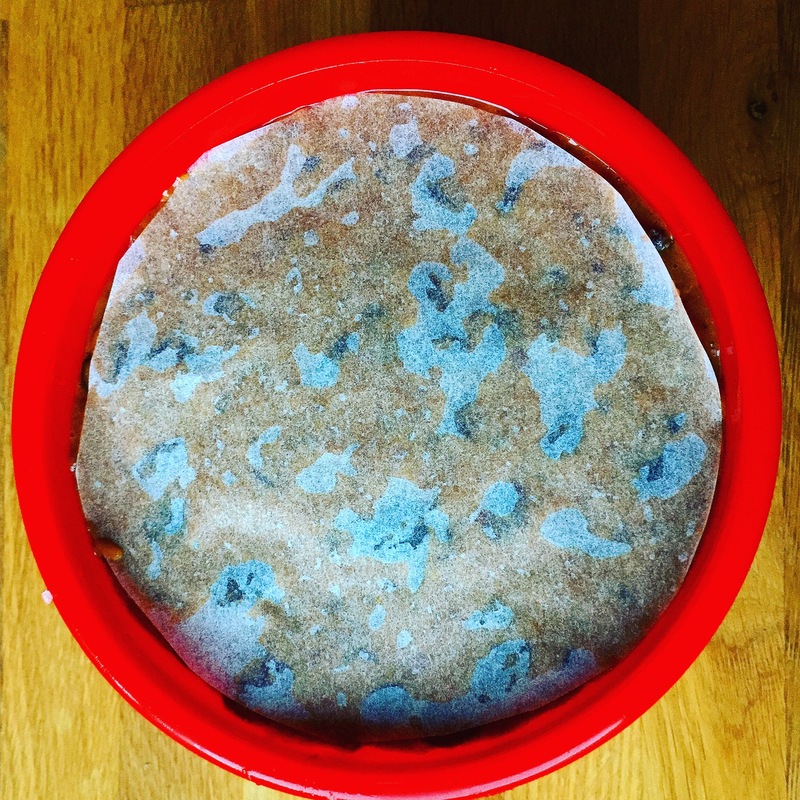 Next grab some greaseproof paper, tin foil and twine. So for each bowl you need to cut out a little circle of greaseproof to go in the bottom of the bowl, this is just to prevent the pudding from sticking! Pop that into the greased bowl and smooth down. Next pour the pudding mix between the two bowls and pop a bigger disc of greaseproof on top. Once all the pudding has been divided out grab a large piece of greaseproof and an equal amount of tin foil. Lie the greaseproof on top of the tin foil and make a pleat in the middle by folding it in half and then fold it back about a half inch from the fold in the middle, this will leave you with a little fin in the tinfoil and greaseproof, this is done to ensure there’s enough room for the steam to expand inside the pudding. Pop the pleated lid onto the pudding bowl and smoosh it down with your hands do it make a lid, next grab the twine and tie the lid down tightly just under the rim of the bowl. 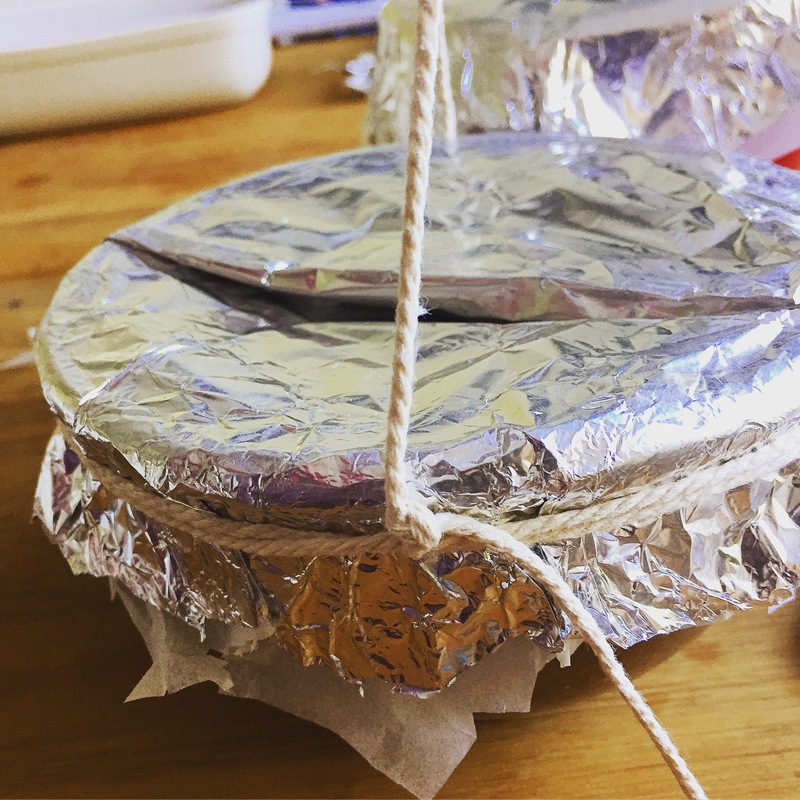 It makes it much easier if you loop the twine back over the bowl and tie I again so that you have a little handle for pulling the pudding out of the steam! Now we’re ready! 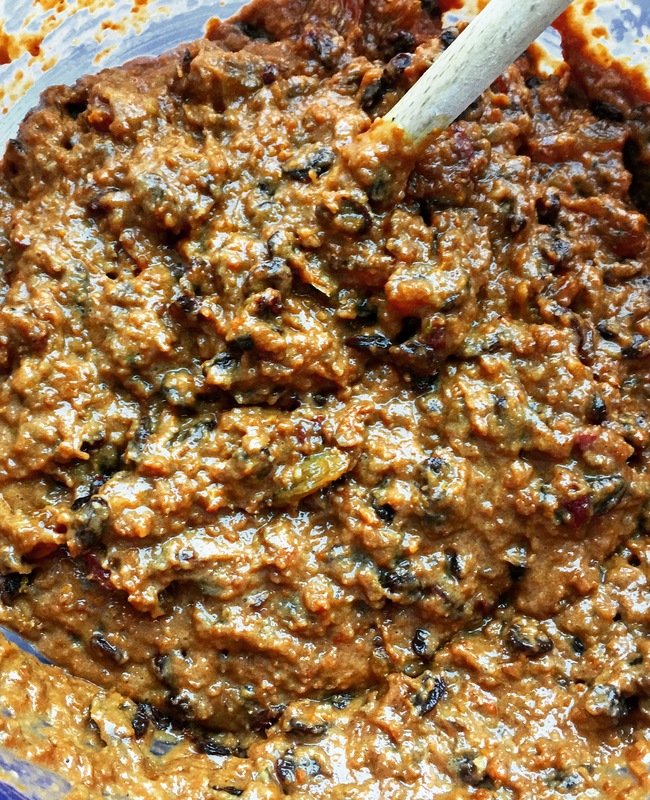 You can either do this in the slow cooker, in the oven or in a steamer its totally up to you, I’ve tried all three ways and they all come out the same, so there’s no better way. Steamer: pop the pudding into a colander over boiling water and pop the lid on, leave on a simmer for 6 hours, top the water up again after 3 hours. 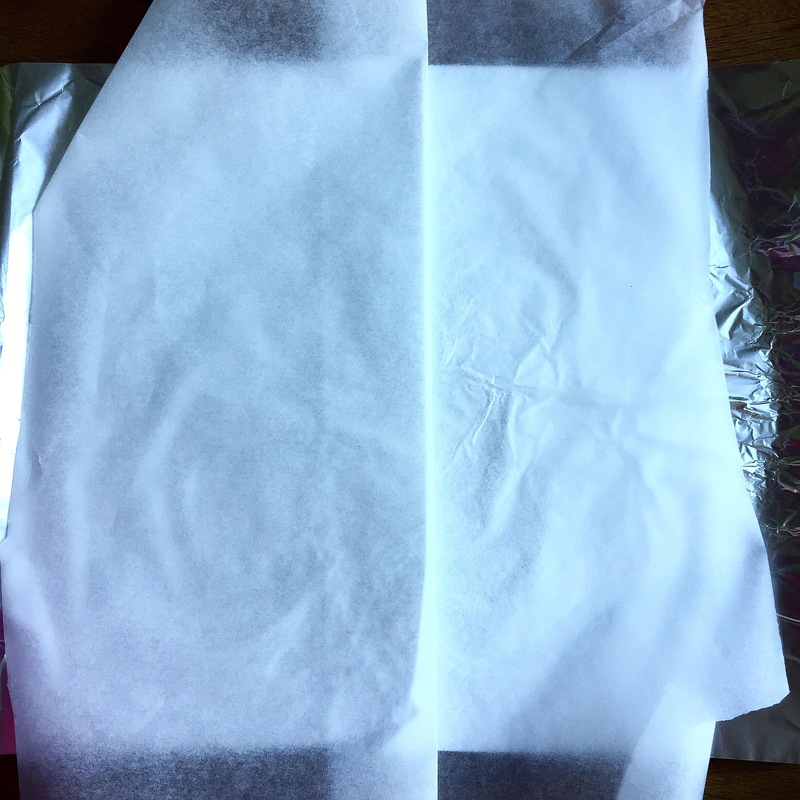 Oven: place the pudding into a baking dish and pour in enough boiling water to come to half way up the pudding bowl, lastly wrap the whole dish with loads of tinfoil so that the steam cant escape otherwise the pudding will burn, pop in an oven at 140 degrees Celsius for 7 hours. Once cooked remove and leave to cool or serve immediately. 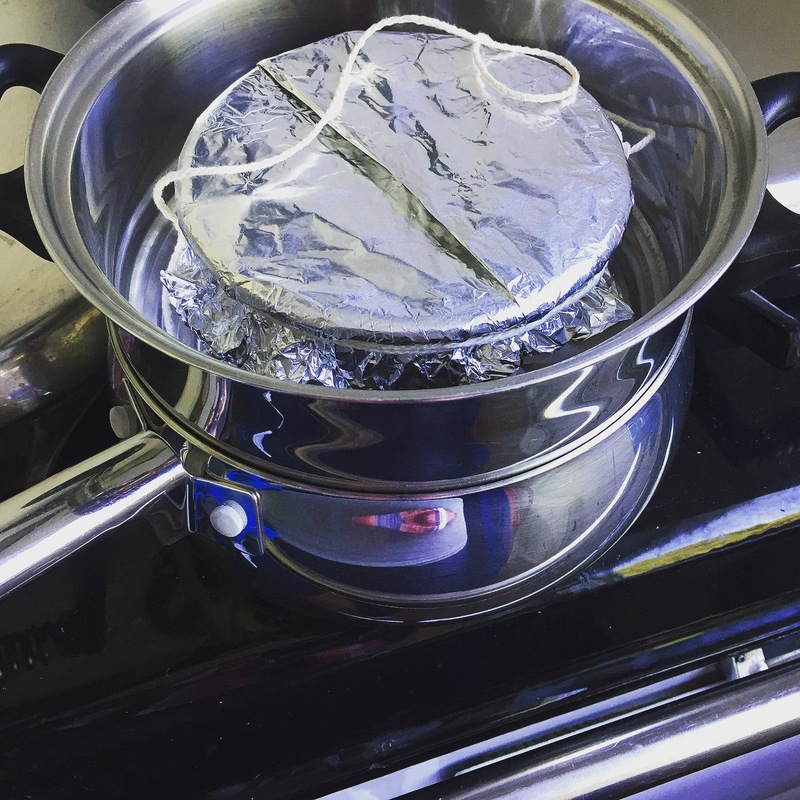 If making in advance, once cooled remove the tinfoil and greaseproof lid and replace with another.